It is said that the only constant in life is change, and that is particularly true when it comes to the economy. So when the idea of creating an island–wide economic development organization took shape as the Vancouver Island Economic Alliance in 2006, the odds were probably against the organization surviving beyond the initial seed money provided by the provincial government. And yet, it is clear that VIEA has become a rock-solid base from which to discuss issues, share ideas and promote partnerships for the benefit of the Island economy as a whole… from Victoria to Port Hardy, Nanaimo to Tofino, and including the Northern and Southern Gulf Islands. In 2006 when the Alliance was conceived, Gordon Campbell was Premier of BC, Stephen Harper was sworn in as the 22nd Prime Minister, and the sub-prime market in the US was just starting its meltdown. In that same year, social media giant Facebook was in its infancy, and Twitter only newly hatched. So much has happened and continues to happen… but while the economy worldwide is ever-changing, the conversations had within the VIEA membership continue to revolve around creating economic resiliency and vibrancy within our Island communities. 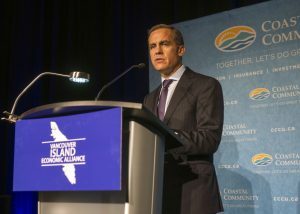 VIEA’s annual State of the Island Summit—which consistently attracts 500-600 participants—has become an annual event on the BC Provincial Premier’s calendar; and in 2012, attendees were honoured to be in select company when the Governor of the Bank of Canada, Mark Carney, accepted an invitation to speak to a standing room only crowd at the Summit luncheon, and again in 2014 when the Minister of Employment & Social Development at the time, Jason Kenney, was a keynote speaker. 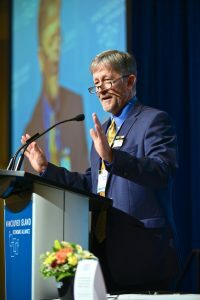 The Vancouver Island Economic Alliance has grown in both membership and stature to become a respected voice wherever the Island economy is being discussed. A long list of notable speakers and presenters have graced the podiums at the yearly event and participants from economists, entrepreneurs, political leaders, educators, activists, students, corporate leaders, large and small business owners have all been inspired to join the members of this organization to discuss a collective vision for the Island. As the only non-government, non-profit organization in BC that embraces the economic interests, opportunities and challenges of an entire region, VIEA is entirely funded by memberships, sponsorships, project-specific grants, and through events such as the annual Summit. VIEA members hail from all over Vancouver Island and receive discounts for VIEA events, have their corporate profiles included on viea.ca, and receive periodic e-news informing them of issues and opportunities that may be of interest. Membership fees are made affordable through a sliding fee scale ($150-$1,000 annually) and fit the budgets of individuals, small business, local government, and corporations. 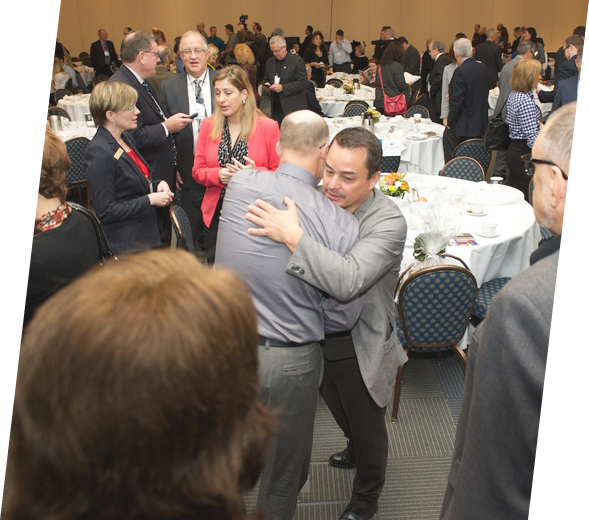 The Summit is the business networking event of the year on Vancouver Island, but its program is developed by a volunteer committee using a grassroots approach. This helps VIEA achieve relevance and diversity, ensuring that content is meaningful and immediate. Program themes span sectors, public and private to include a broad range of topics such as: the disrupted economy, climate change mitigation, skilled labour needs, capturing local talent, decarbonizing the economy, ‘Made on Vancouver Island’ product branding, retaining and growing technology companies, and the commercialization of marine research. Key presenters include experts from near and far. 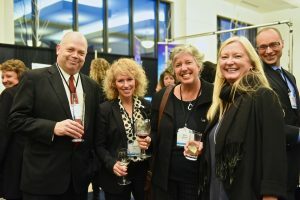 Learn more about the annual summit at www.viea.ca. VIEA will be released its first annual State of the Island Economic Report at the Economic Summit in October 2015. Thanks to substantial and continuing contributions from MNP along with initial support from the Nanaimo Airport, BC Ferries, BC Hydro, Coastal Community Credit Union, and in 2015 and 2016 from the BC Ministry of Jobs, Tourism and Skills Training, VIEA will continue to provide this information freely to benefit decision makers of all stripes. The 50-page report uses a reader-friendly, infographic format with statistical content specific to Vancouver Island and data that can be consistently measured over time. It is the only such report produced anywhere in British Columbia. With years’ worth of experience in developing, sponsoring, organizing, co-hosting and participating in a wide variety of projects and events—from commissioning the Vann Struth Regional Economic Analysis Report of 2009, and developing the Links Project (2010), to organizing the Intermodal Transportation Initiative (2011-2015), and co-hosting the first-ever Vancouver Island Aboriginal Business Match event with the Nuu-chah-nulth Tribal Council in 2016—VIEA is able to turn vision into action. The general consensus is that the future is bright for this region. But it will take all of us working together to face the many changes that will continue to challenge us here on Vancouver Island. Let the Games Begin – partnering with the MBA Society of Vancouver Island University to host the 2017 National MBA Games taking place throughout Vancouver Island. Match Making – co-hosting a second Aboriginal Business Match event in Port Hardy in 2017 following a successful ‘first ever’ event in 2016.